See the Algarve by helicopter. 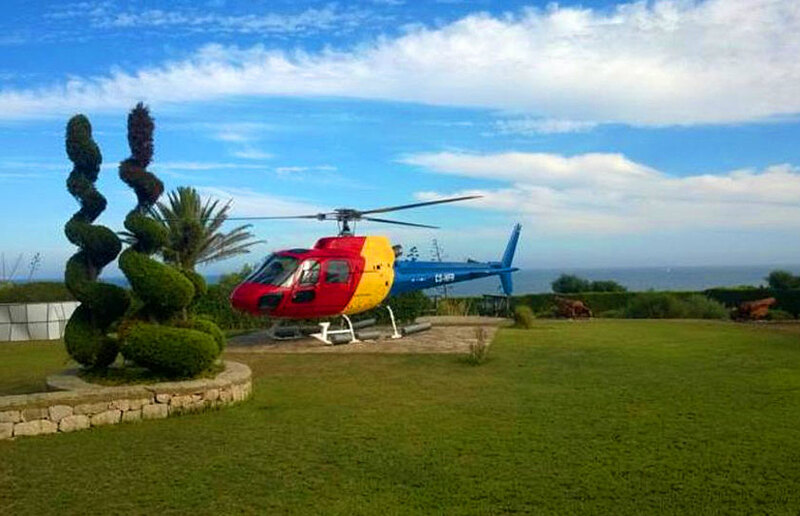 There is a heliport located in the Algarve, centrally located, close to Loule. The heliport can be used for both transfers and adventure flights allowing you to explore the Algarve from the air. It is also possible for a helicopter to land in a large garden, at a hotel or even a golf course as long as there is enough space. So how about a helicopter to transport you to your favourite golf course and fly you back later in the day. Want to learn to fly a helicopter? The heliport also has a flight school. Learn to pilot a helicopter. Please note there is a small fee to arrange your helicopter flight, which we will quote at the time. Please provide as much notice as possible, especially in the Summer.